No matter the time of year guests always feel welcome at Hotel Rosenhof. 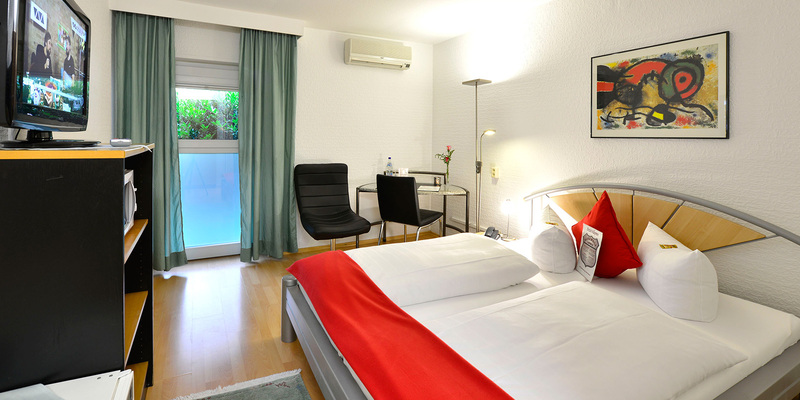 In addition to our 33 tastefully furnished rooms, the Hotel Rosenhof also has 4 Apartments to offer. 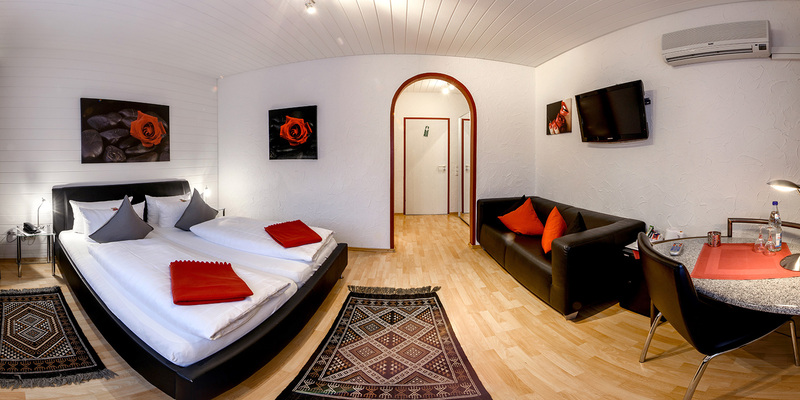 Long-term visitors and families can relax in an extremely comfortable accommodation. Not only do we offer flat screen TV´s, refrigerators and air conditioning, we also offer free WI-FI as well as free on-site parking in our secure parking area Amenities. This includes our standard and comfort features and also provides a fully equipped kitchen. You can request prices for our fully furnished apartments in the house Monika. For further questions, please call, our reception staff are at your disposal. daily from 06.00 – 10.00 a.m.
Saturday & Sunday from 07.00 – 10.00 a.m.
Butteflies in your tummy, make your dreams come true. Enjoy a romantic weekend, just the two of you. Spend the day with your best friend. The Hotel Rosenhof is the ideal starting point for hiking around the Sickinge Landstuhl and the West Palatinate.